and therefore will not bring any damage to your tablet. 1. Send us your IMEI both tablet slots (they can be viewed by typing in the plate * # 06 #). 2. Insert the SIM card in the first slot is different from the native operator Beeline (Megafon, MTS, Tele2, etc.). 3. If you have a SIM card enabled request a PIN code, enter it. 4. In the window that appears, request the network code, enter the unlock code received. 6. The plate was successfully razblokirovan.Povtorite procedure with the second slot. 7. Do not forget to leave a review for the purchased goods. For the positive feedback you will receive 5% of the paid amount back to your account. And do not forget that the one who leave negative feedback without waiting for the code that does not get the bonus on the account. Before making a purchase, it is strongly recommended to check whether the requested tablet unlock code when it is installed SIM card of another operator. 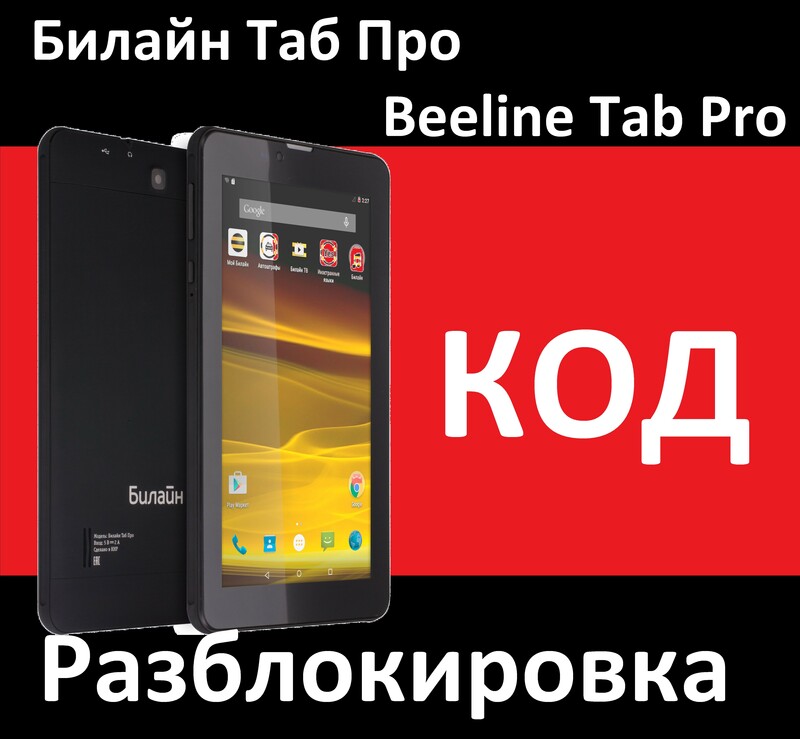 By making a purchase you agree that the model of your tablet Beeline Tab About Tab Pro, as well as attempts to enter the code are not all spent.